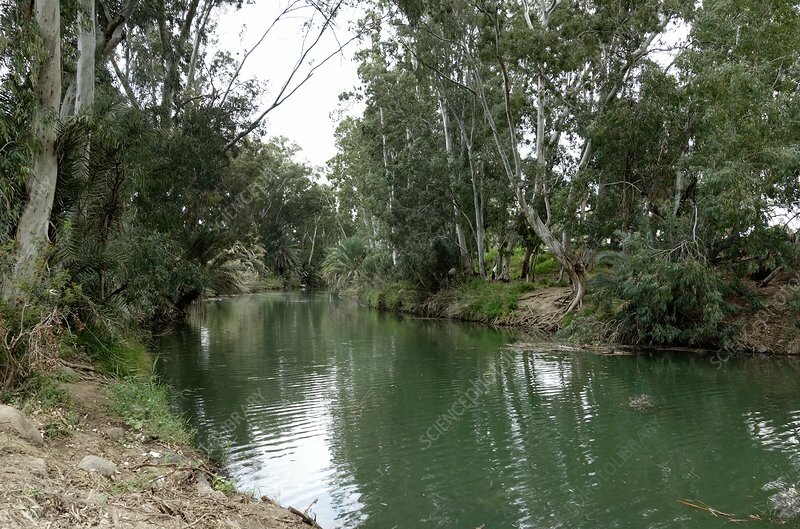 Jordan River, Israel. The Jordan flows north to south through the Sea of Galilee and on to the Dead Sea. Jesus is reputed to have been baptised in the waters of the Jordan by John the Baptist. The river is an important water resource for the surrounding populations in Syria, Israel, the West Bank and Jordan.